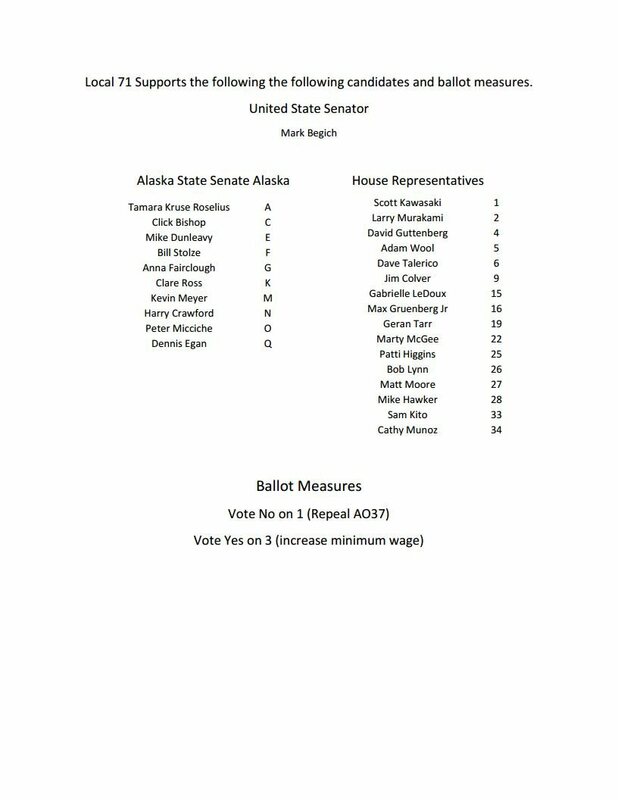 Local 71 supports these candidates and ballot measures because they support working families. If you have questions please don't hesitate to contact your local union business representative. Click the link at the bottom of the page if you wish to download a copy to your phone for easy accessibility.